During the daily commute, it's the last thing you expect. “All of a sudden, it exploded,” says Duane Miller. A light pole crashed down on Miller’s car two years ago as he was inching along a stretch of 395 in DC. "There was this pole in front of my face and the windshield had popped out." In February, a massive sign on I-66 in Virginia fell down on a truck. Inspectors there are still trying to find a cause. Incidents like these are why signs and other large structures should be inspected every two years, according to Henry Jasny with Advocates for Highway and Auto Safety. "They're a risk if they're decomposed and rusted,” Jasny said. “Or the bolts are loose. They need to be a part of a normal inspection and repair program." After weeks of negotiations, VDOT released its inspection records for northern Virginia to the News4 I-Team. Make sure to check out part two of the NBC4's I-Team investigation Friday night on News4 at 11. But the News4 I-Team found that's not happening in our area because the federal government doesn’t require states to inspect highway structures. It took the D.C. Department of Transportation weeks to tell us when it last inspected its 190 signs. The city finally gave us inspection reports for only 13 percent of its signs, all dating from five to six years ago. For instance, five-and-a-half years ago inspectors found an anchor nut missing from a large sign heading onto 395 from South Capitol. At that time, the city labeled the missing nut an "emergency situation" because anchor bolts are critical to keeping the sign upright. But the News4 I-Team found that nut is still missing almost six years later. At the 14th Street Bridge, another sign couldn't be completely inspected because of "heavy vegetation growth." Five years later, that “growth” is still there. “We believe our signs are safe,” DDOT spokesman John Lisle said. "We're going to take additional steps to ensure that they're in good condition and if any need immediate attention, then to make those repairs right away." But Dave Buck with Maryland's State Highway Administration said inspecting that often isn't realistic. "You can't fit everything into one nice little package there and say that you need to do everything every two years." 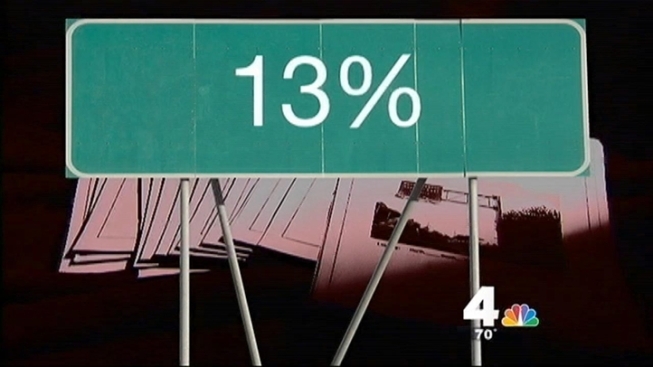 The News4 I-Team found most Maryland highway signs in our area were last inspected seven to eight years ago. But we discovered at least 40 signs along I-95, I-495 and I-270 haven't been inspected in 20 years. "They were last inspected in the 1990s,” Buck admits. He said all 40 signs will be inspected by the end of June. 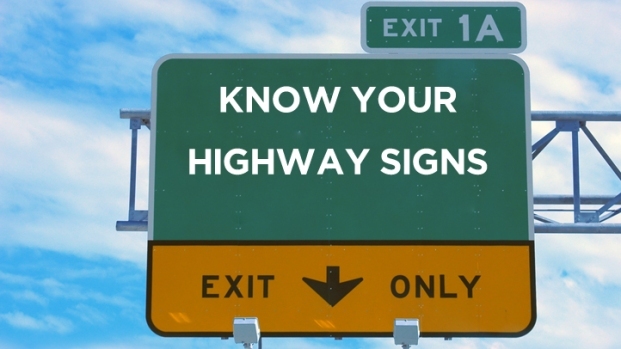 “But the most important thing is that ultrasonic testing has been done on those signs." Maryland, Virginia and D.C. all use ultrasonic testing. Buck said the technology catches problems inspectors can't see. And when Maryland inspectors find a problem, the sign comes down, Buck said. "They wouldn't be standing if they weren't safe."